Fifty years ago this month, the U.S. Surgeon General issued an unprecedented report that linked smoking to deadly illnesses like lung cancer and heart disease. As research efforts have expanded over the years, investigators have linked still other illnesses to tobacco. An additional 31 Surgeon General’s reports have been published, and now, according to Acting Surgeon General Boris D. Lushniak, there’s substantial evidence that smoking “affects every area of the body.” Conditions linked to smoking include everything from macular degeneration to colorectal cancer, he said. There are some bright spots, though. According to the latest report, issued earlier this month, progress has been made: 42 percent of adults smoked in 1965, but only 18 percent smoke today. Still, that translates millions of people who are using tobacco and tobacco products. Many smokers want to quit, but think it may be too tough for them. According to the National Center for Complementary and Alternative Medicine (NCCAM), the best way to stop is to use medication or to undergo counseling. (For more information, visit smokefree.gov.) But if you are considering alternative treatments, it helps to know what the scientific evidence is. Hypnosisis a commonly mentioned technique to help people quit smoking, but the NCCAM said there’s conflicting evidence about its effectiveness. 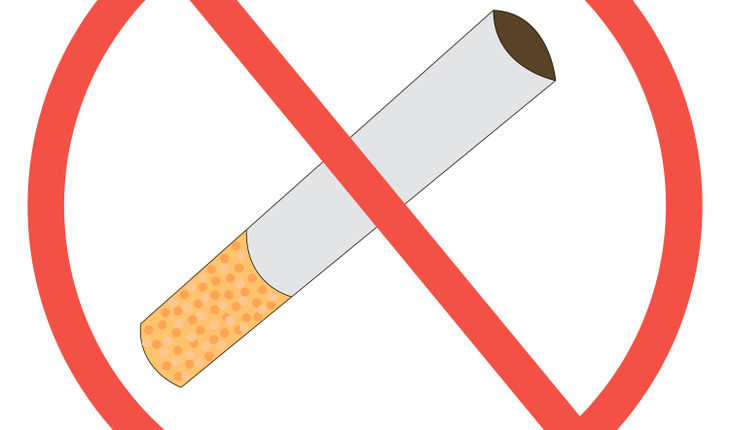 One study found that it didn’t have any effect; a small study – too small to be valid, according to the NCCAM – found that it did increase smoking abstinence; and a third study found that hypnosis plus nicotine patches resulted in a slightly higher rate of cessation. Researchers have not done a lot of work on the effectiveness of yoga in quitting smoking, although one study said it could be an effective complementary treatment for women. Another study that participants who engaged in cardiovascular exercise and Hatha yoga showed a decreased craving for tobacco. The NCCAM says that there’s no consistent, “bias-free” evidence that acupuncture, also touted as an effective anti-smoking treatment, actually works. In addition, there’s no evidence that dietary supplements work. Tai chi, the agency says, may help the kind of awareness that could break an addiction, according to one study. Most people trying to quit smoking, though, feel they need all the help they can get, and the NCCAM says the alternative treatments are safe, or relatively safe. So don’t hesitate to ask your doctor if any of these practices is right for you.